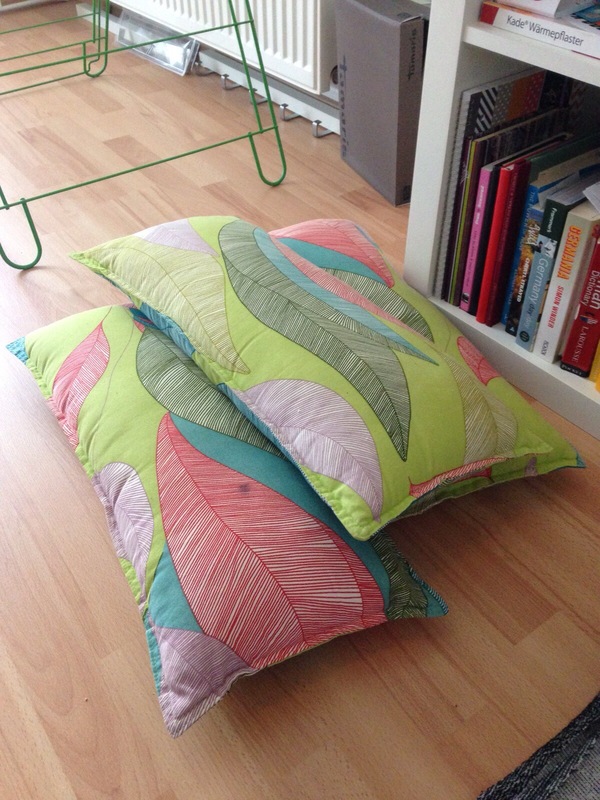 My Sunday sewing challenge this week came courtesy of one of my lovely girl friends, who was looking for me to whizz up some new cushion covers for her pillows. We agreed she’d bring them round and I’d see what I could do while we had a bit of a natter. 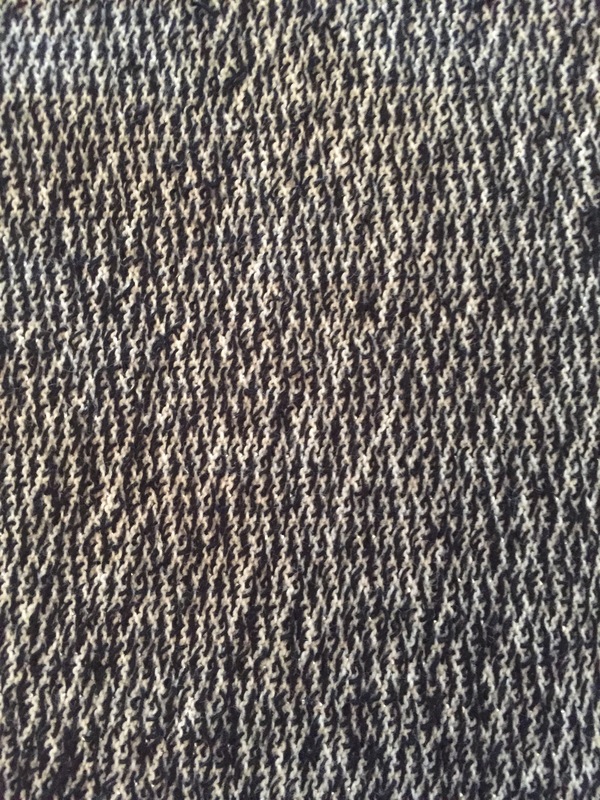 The following two are actually the same fabric, just the right side and the wrong side. What I love about this fabric is the little sparkly bits that shine through. Subtle but still a touch of glamour! 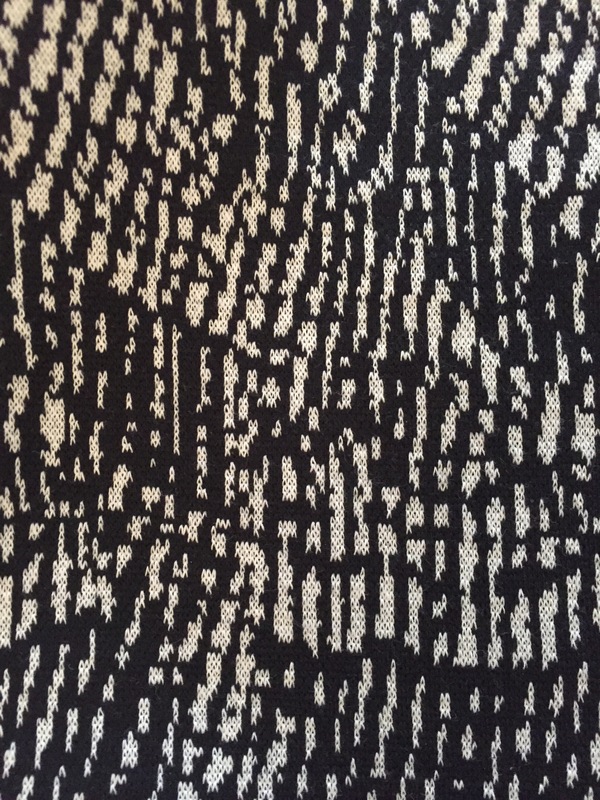 I actually love these fabrics so much, I kind of wish I had found them for a clothing project. I might head over to Karstadt and get some to make a jacket or a dress, they are just so lovely! We weren’t really making covers for the pillows as much as covering them permanently, so the technique was nice and easy. Essentially I cut the fabric on the fold, about one centimetre smaller on each side to account for the stretch (there’s nothing worse than a saggy cushion cover!) 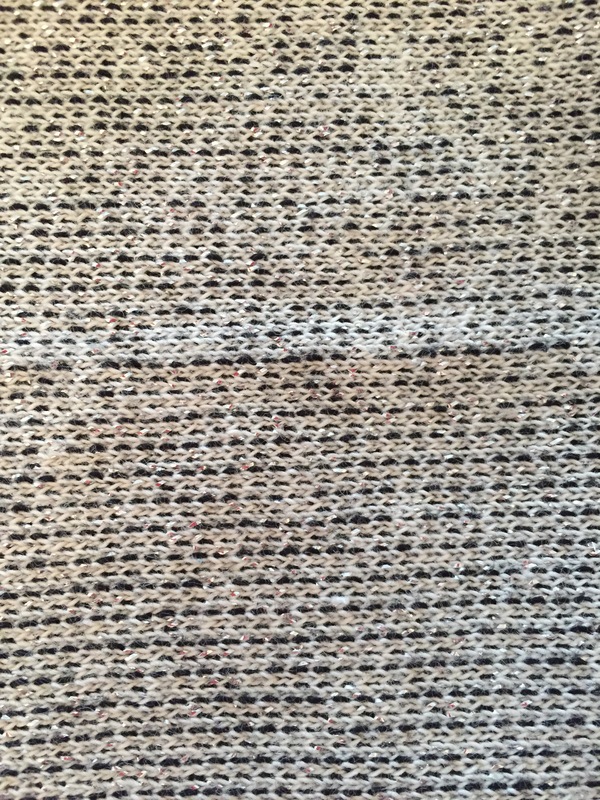 I then sewed up on both long sides in a normal running stitch. This then left us with a tube which we stuffed the pillow in – it was a bit like pulling on a pair of tights! Then I left my lovely friend to hand sew the final short end opening closed while I got on with the next one. In the end we had a nice little assembly line going! I’m always a bit nervous to sew up things for other people, especially when they have paid for fabric. I never want the final result to look dodgy and they feel disappointed. In the end though the pillows turned out great – I wish I’d made them for my couch! The best thing about them is that they are nice and soft and cuddly on account of the wool. They’re also nice and plump due to the covers being stretched over the pillows. I love them and I think they look quite chic! I hope my friend enjoys cuddling them as much as I did! What a great job she did on choosing the fabric, don’t you agree? How about you? Do you sew things up for friends? 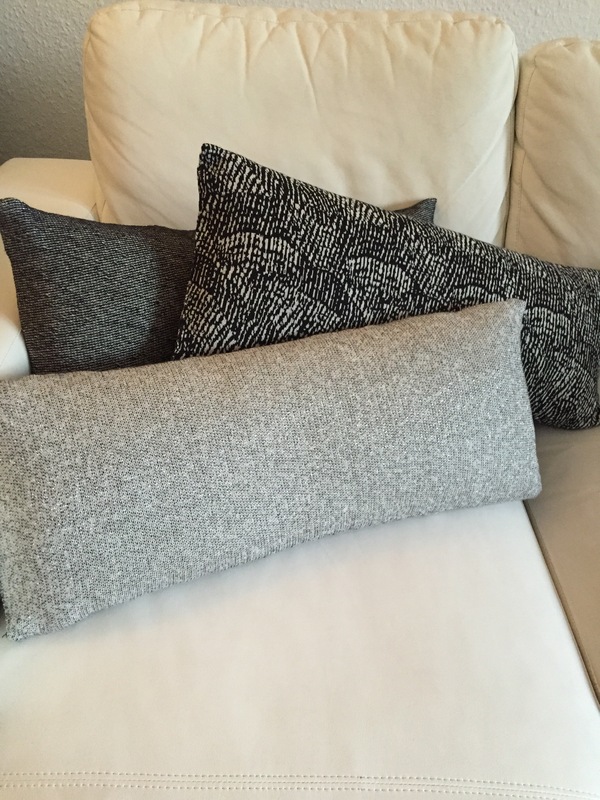 Have you ever used jersey knit for pillows? I’d love to hear about it! A definite improvement! Lovely fabrics. They really are aren’t they? I’m going to have to buy one of them I think, just so cosy! Very nice!!! Those pillows look familiar!! Thank you!!! I was a bit scared with the jersey but they turned out cozy in the end!